The Komzáks were an outstanding musical dynasty started by Karl Komzák Sr. (1823–1893), who was born in Southern Bohemia and moved to Prague, where he formed an orchestra which became so successful that in 1862 it became the resident orchestra of what has now become the National Theatre. DvoÅ™ák was a viola player and Komzák's son Karl a violin player in this orchestra. In 1865 Komzák Sr. was to be for 15 years bandmaster of the 11th Infantry Regiment and he composed much during this period. With further spells as a military bandmaster he finally retired in 1888. He wrote some 200 compositions, the scores of which have been left scattered among various archives. 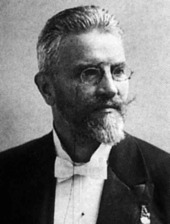 His son Karl Komzak Jr. (1850–1905) was born in Prague. He was taught by his father and continued his studies at the Prague Conservatory. In 1869 he joined his father’s regimental band which at the time was based in Linz in Austria. He also conducted the Linz Theatre Orchestra. In 1871 he himself became a bandmaster at the age of 21 in Innsbruck where he learnt the Tyrolean style of music and he also became a choirmaster there. In 1882 he made it to Vienna, still as a bandmaster and was able to establish his fame throughout the Austrian Empire. He had established himself as one of the leading military composers, along with Ziehrer, Fahrbach, Czibulka, Král and J. F. Wagner. Although primarily now of a military background, he laid great emphasis on the use of stringed instruments and in civilian concerts was effectively conducting a full symphony orchestra. He moved to Baden in 1892 where he took over the Spa Orchestra, which he conducted in the summer whilst still conducting in his military role in the winter in Herzegovina. The peak of his career was reached when he took the Wiener Farben Orchestra to the World Exhibition in St Louis in America in 1904. This was only shortly before his tragic death when he fell under a train in Baden. His opus numbers reached 306, but nobody knows how many compositions he wrote. Some 200 of his scores have been recovered, but as the name of three generations was the same, it is not always possible to know who was the writer. He wrote one operetta, Edelweiss. His most famous work is without doubt the waltz Bad’ner Mad’ln but he wrote many other magnificent pieces, marches, polkas, waltzes and in particular potpourris which contained much music written by his contemporaries. His talents as an arranger were unequalled. The last of the dynasty, Karl Komzák III grandson (1878–1924) was born in Innsbruck and though discouraged by his father and forced to study law, finally came into his own after his father’s death. He formed his own orchestra and toured both Austria and Germany. He considered Vienna to be his real home, but he also lived in Hamburg and Munich and he visited England. He was not healthy and was discharged from the Austrian Army during the First World War. He died early and it is unknown how many compositions can be attributed to him, but those identified are not as many as his father and grandfather. He wrote mainly waltzes, the most popular of which is Münchner Kindl. He wrote one operetta that was never performed. A book on the Komzáks written by Max Schönherr and completed by Eugen Brixel following Schönherr’s death has been supplemented by considerable additional research by Prof. Norbert Nischkauer who has published his own compendium on the Komzák family.